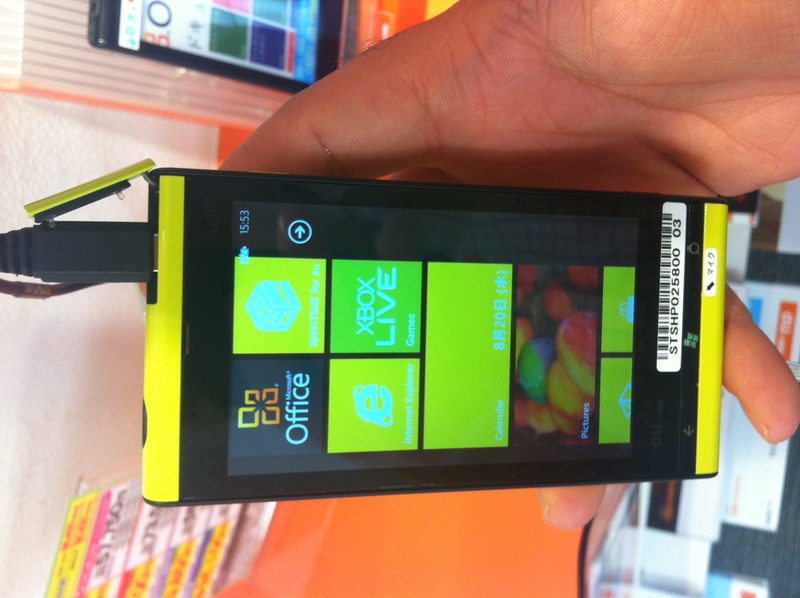 Last month, Fujitsu in Japan unveiled the IS12T, announced as the world’s first cell phone running on Windows Phone 7.5 aka Mango. And the country’s second biggest mobile carrier (and exclusive provider of the handset) KDDI au, didn’t lose much time: the IS12T became available today over here (here‘s Fujitsu’s official press release in English from today). As we reported previously, the Mango handset comes with a 3.7-inch LCD with 800×480 resolution, a 13.2MP CMOS camera, a water- and shock-proof body, 32GB internal memory, a microUSB port, IEEE 802.11b/g/n Wi-Fi (no tethering), DLNA support, GSM/CDMA, etc. 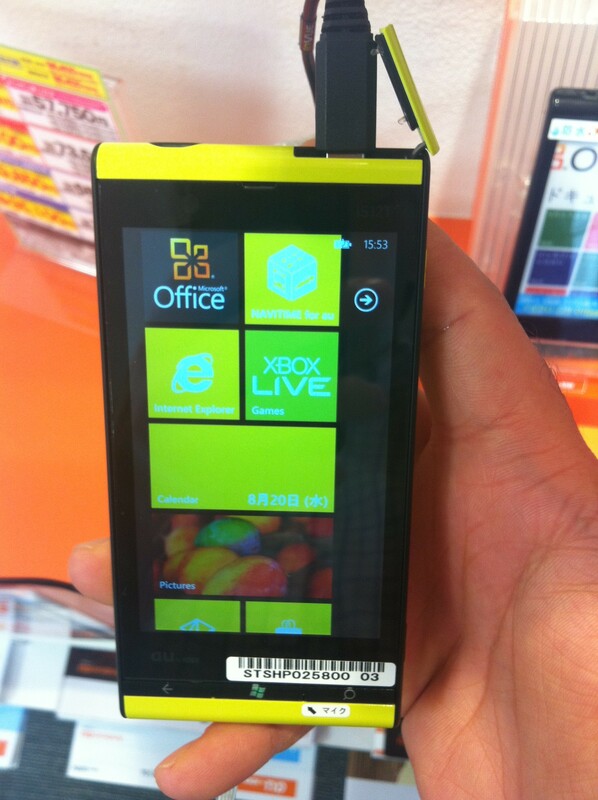 There are nine languages for the UI, and the IS12T is available in three “neon” colors (citrus, black, magenta). 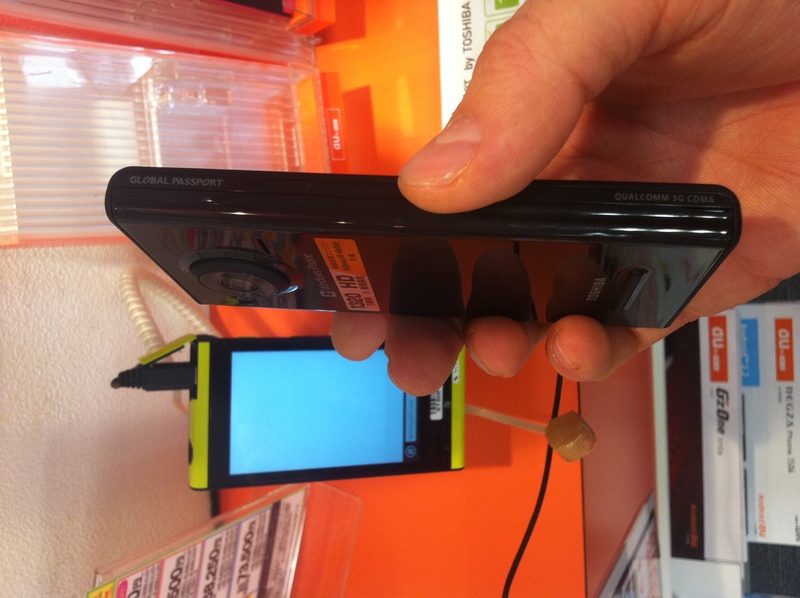 I went to the only cell phone store in my neighborhood to have a look at the handset today, but unfortunately, I got to take just a few pictures (see above) and play around with it for a few minutes before I had to leave (no pictures-no videos policy). My initial impression was that the phone itself felt light and thin, but also extremely cheap and plasticky (I couldn’t give Xbox Live, the Internet Explorer and other apps a spin because Wi-Fi and 3G were turned off – in the few minutes I played with it, the UI felt great). Price-wise, the IS12T is positioned on the higher end of the spectrum for phones in Japan: the store (and every other retailer, for that matter) sells the phone for up to $955 (but with drastic discounts under certain circumstances). So if Fujitsu really starts selling the handset outside Japan (they do have international plans), don’t expect this to be a budget model.